Princeenergy is one of three companies who has recently donated a games console to help the charity Action for Aspergers. The Nintendo Switch Neon will be used for a child counselling service that helps young people with Autism, Asperger’s and other social interaction difficulties. Playing games helps to concentrate the mind and calm the child, whilst helping them learn to play and interact with others. 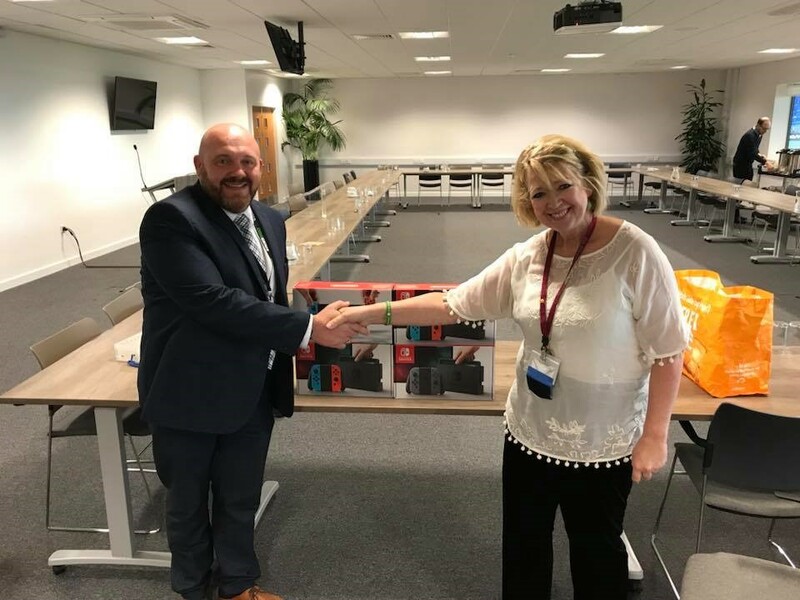 The games consoles were presented to the founder of the charity Elaine Nicholson at a recent Business Networking event alongside other donors Brett Groome of Chris Groome Decorating and Adrian Jaggard Taylor Rose Law. James Manning Director of Princeenergy commented “Elaine works extremely hard to run this local charity, providing counselling services that simply wouldn’t be available without her hard work. For more information on the Action for Asperger’s charity please see their website.